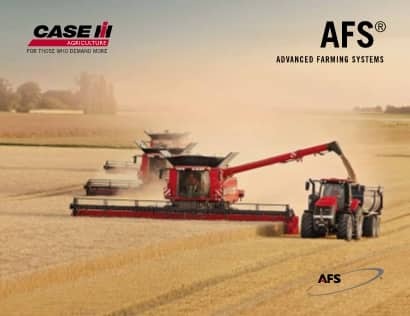 Designed to fit your operation’s needs, Case IH AFS® desktop software offers the flexibility and analysis power to support all your precision farming needs. Generate yield maps, as-applied maps, prescription maps and more from a single, integrated software package. Plus, create soil sampling maps, create and print reports and import satellite imagery. No matter your data source - the AFS Pro 700 monitor, your crop consultant, or an ag retailer or other supplier – you can easily import and manage the data using your AFS desktop software. The software supports all of the major precision farming systems on the market, including Trimble, Ag Leader and GreenStar. ​Allows producers to view and track their data with a customized list of farms and fields, which can then be shared with precision farming devices for data management. No unlock, and no expiration. Or, upgrade to AFS™ Mapping & Records for a full-featured data management experience.